We apply ab initio, DFT and semi-empirical methods to calculate different physicochemical and first of all electronic properties of compounds that are already used or are prospective materials for molecular (nano)electronics. We have modeled the influence of internal doping of polycyclic aromatic hydrocarbon (PAH) as nanographene model on its electronic properties. In this study we have also used methods (semiempirical UNO–CI) developed in our lab. We have explained the work of ambipolar transistor built from carbon peapod applying our own techniques (unrestricted EAL and IEL). In addition electronic properties of the unusual endofullerene NH4+@C60 were studied. We also carried out the theoretical investigation of the selective functionalization of oxadiamondoids that determine their orientation in devices and thus performance of such devices. In addition, we provided insights into bonding in coordination polymers, some of which are promissing materials for molecular electronics because of their redox properties. 7. Nico Fritsch, Christian R. Wick, Thomas Waidmann, Pavlo O. Dral, Johannes Tucher, Frank W. Heinemann, Tatyana E. Shubina, Timothy Clark, Nicolai Burzlaff, Multiply Bonded Metal(II) Acetate (Rhodium, Ruthenium, and Molybdenum) Complexes with the trans-1,2-Bis(N-methylimidazol-2-yl)ethylene Ligand. Inorg. Chem., ASAP. DOI: 10.1021/ic501435a. 6. Pavlo O. Dral, The Unrestricted Local Properties: Application in Nanoelectronics and for Predicting Radicals Reactivity. J. Mol. Model. 2014, 20, 2134. DOI: 10.1007/s00894-014-2134-78. 4. Pavlo O. Dral, Milan Kivala, Timothy Clark, Doped Polycyclic Aromatic Hydrocarbons as Building Blocks for Nanoelectronics: A Theoretical Study. J. Org. Chem. 2013, 78, 1894–1902. DOI: 10.1021/jo3018395. 3. 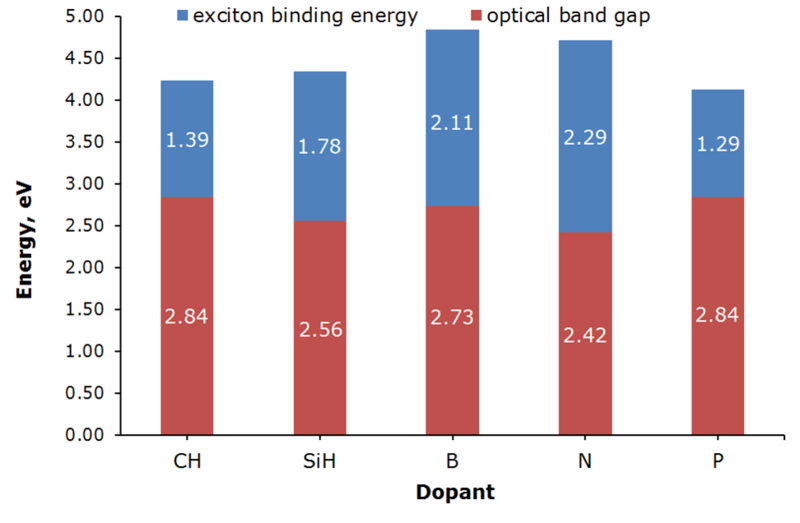 Michael Salinas, Christof M. Jäger, Atefeh Y. Amin, Pavlo O. Dral, Timo Meyer-Friedrichsen, Andreas Hirsch, Timothy Clark, Marcus Halik, The Relationship between Threshold Voltage and Dipolar Character of Self-assembled Monolayers in Organic Thin-Film Transistors. J. Am. Chem. Soc. 2012, 134, 12648–12652. DOI: 10.1021/ja303807u. 2. Pavlo O. Dral, Timothy Clark, Semiempirical UNO–CAS and UNO–CI: Method and Applications in Nanoelectronics. J. Phys. Chem. A 2011, 115, 11303–11312. DOI: 10.1021/jp204939x. 1. Andrey A. Fokin, Tatyana S. Zhuk, Alexander E. Pashenko, Pavlo O. Dral, Pavel A. Gunchenko, Jeremy E. P. Dahl, Robert M. K. Carlson, Tatyana V. Koso, Michael Serafin, Peter R. Schreiner, Oxygen-Doped Nanodiamonds: Synthesis and Functionalizations. Org. Lett. 2009, 11, 3068–3071. DOI: 10.1021/ol901089h.